Final Fantasy's brawler spin-off is giving players a chance to sample its gameplay before its full launch later this month. It's a great weekend for fans of fighting games. Not only is Dragon Ball FighterZ hosting their open beta, but Square-Enix is letting fans get their hands on the Dissidia Final Fantasy NT beta right now on PS4. Players don't need to be a PSN subscriber to get access to the beta, which will take place at three different times. Fans will get a chance to try out a different selection of playable characters and levels during each session in both on and offline fights. 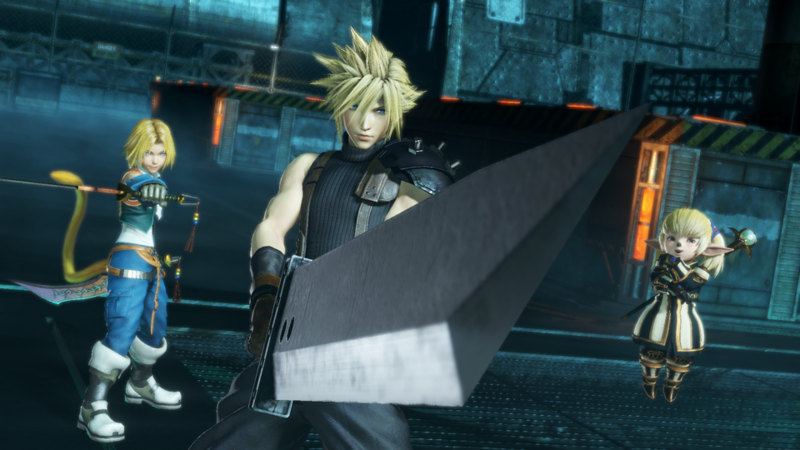 Dissidia features a roster from throughout the long-running RPG's history, including fan favorites like Cloud, Lightning, Tidus, and the Onion Knight. It even includes FF XV's Noctis as a playable character. The beta will be open from January 12 at 6am PT/9am ET/2pm UK to January 15 at 1pm PT/4pm ET/9pm UK. It reopens on January 15 at 2pm PT/5pm ET/10pm UK and goes until January 18 at 1pm PT/4pm ET/9pm UK. Dissidia's final open beta will be on January 18 at 2pm PT/5pm ET/10pm UK and will run until January 21 at 1pm PT/4pm ET/9pm UK. Dissidia Final Fantasy NT is set to launch on PS4 on January 30th.